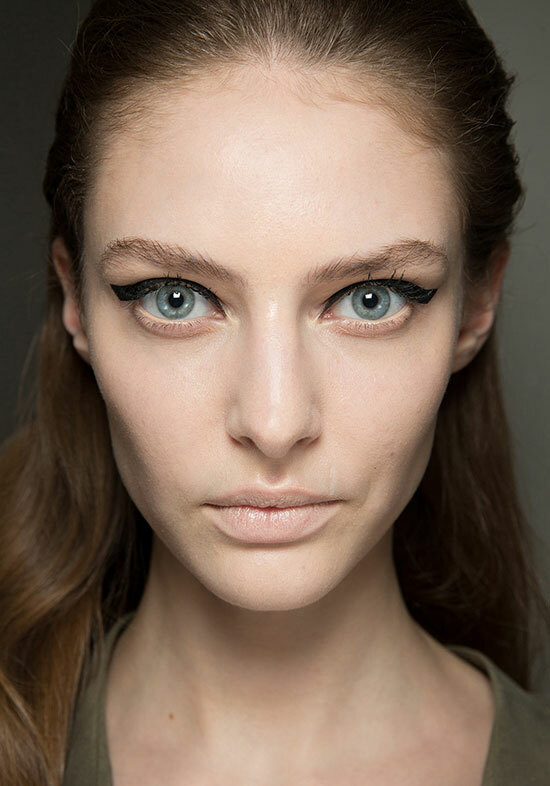 At Giambattista Valli Spring 2014 Couture, makeup artist Val Garland created a strong Parisian woman with dewy skin and a dramatic graphic eye. 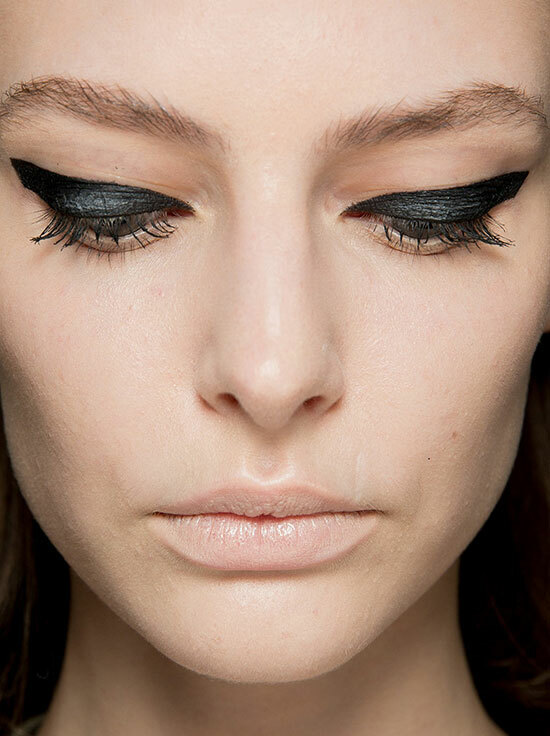 To create the look, Val first used a black cream liner from MAC then topped with a powder formula for hold. 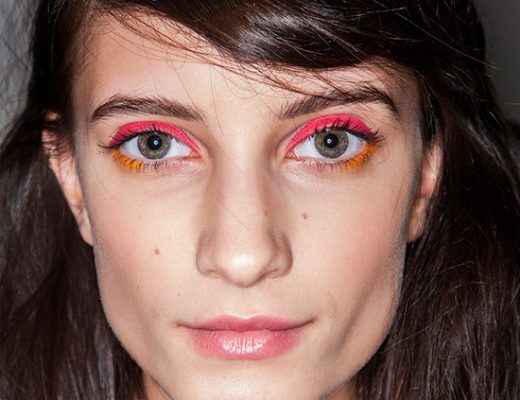 She added lashings of mascara and kept the lips muted with Lip Eraser.